While CNN and most Israeli and mainstream media sources blame Iran for initiating an attack on Israel, on the very day of the early morning strikes (Thursday), the Times acknowledged, "The barrage [of Syria/Iran missiles] came after an apparent Israeli missile strike against a village in the Syrian Golan Heights late Wednesday." This is significant as Israel is seeking to cast Iran as an aggressor on its border which must be dealt with preemptively; however Syria's response—which involved between 20 and 50 missiles launched in return fire—imposed new rules of engagement on a situation in which Israel previously acted with impunity. And though multiple international reports have pointed to strikes landing on the Israeli side, Israel has apparently been extremely careful in preventing photographs or video of any potential damage to see the light of day. According to professor of Middle East history Asad AbuKhalil, "Israel censor still hasn’t allowed any reports about casualties or damage." Up until recently, Assad had not taken the bait of Israeli provocation for years now in what we previously described as a kind of "waiting game" of survival now, retaliation later. But with the Syrian Army now victorious around the Damascus suburbs and countryside, and with much of Syria's most populous regions back under government control, it appears that Assad's belated yet firm response to the Israeli large scale attack has changed the calculus. 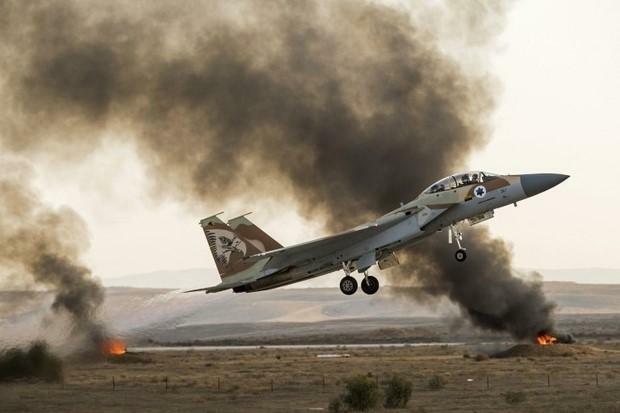 In Damascus, sources close to the leadership believe Israel will continue attacking targets. However, Israel knows now where Syria’s response will be.This is what Israel has triggered but didn’t expect. Now it has become a rule.